Right photo by Rob Baas. 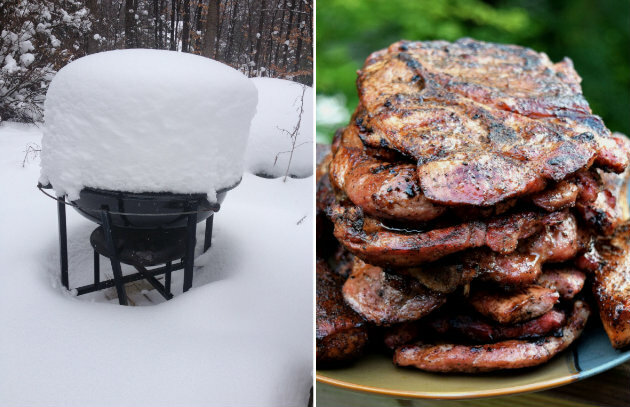 It may still be winter, but it seems many of you have kept on smoking and grilling right through the chilly temps. Good barbecue doesn’t need a reason or a season. 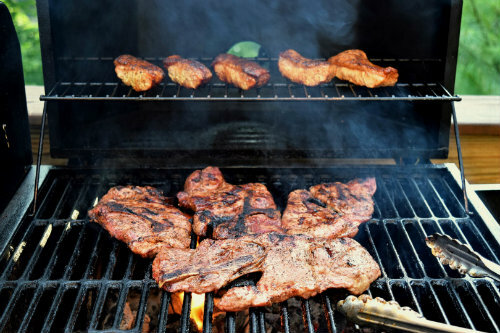 Here are some recipes that were especially popular on BarbecueBible.com during January and February. Enjoy! If you think the sweet-salty-umami flavors of Chinese ribs are good, wait until you try them enhanced with old-fashioned American wood smoke. These ribs get a quadruple blast of flavor: first from an anise-scented 5-4-3-2-1 Rub (the derivation of the name will be obvious); then from a rice wine-cider spray to keep them moist; then from fragrant cherry wood smoke. The last step is lacquering and grilling with a sweet-spicy Beijing Barbecue Sauce. 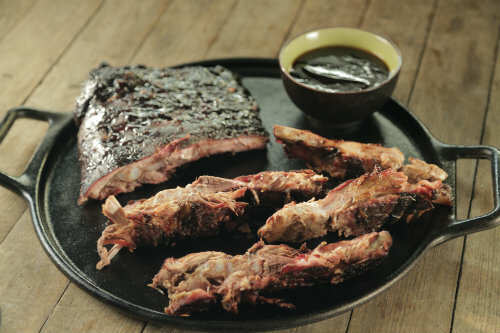 Mention St. Louis barbecue to most Americans and what comes to mind is ribs. Indeed, there’s even a St. Louis rib cut—spareribs with the brisket removed. 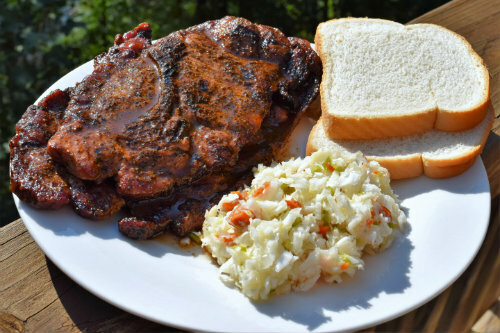 But visit a typical St. Louis backyard and you’ll likely find something very different sizzling away on the grill: pork shoulder steaks slathered with Maull’s, a local tomato-based barbecue sauce. You can’t smoke beef tenderloin the way you would brisket or other tough fatty cuts. 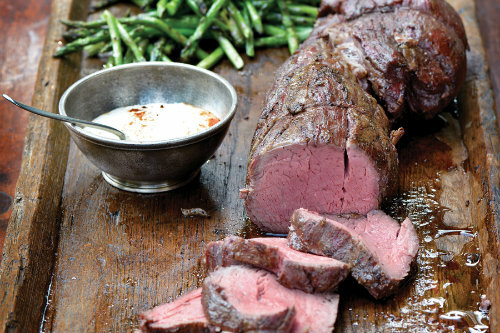 Tenderloin demands a sizzling crust with a blood-rare or medium-rare center. Enter the so-called reverse-sear method, where you partially cook the beef by slow-smoking at a low temperature, then finish it over a screaming hot fire. 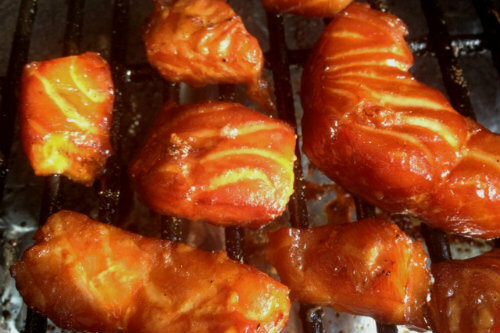 Salmon candy makes a great snack for a road trip, hike, or long day at the office. It’s addictive as all-get-out. Once you gnaw your last piece, you’ll instantly crave more. Making a batch is a satisfying project for the waning days of winter. Yes, it requires some time—16 hours or more including brining and smoking—but very little actual work.